The new Callaway Chrome Soft X Triple Track golf balls. If you’ve noticed Phil Mickelson putting with Callaway’s Triple Track technology (he shot 60 in Palm Springs the first time he teed it up in competition) on his Chrome Soft X and wondered if it would ever be available to non-Tour pros, you’re in luck. 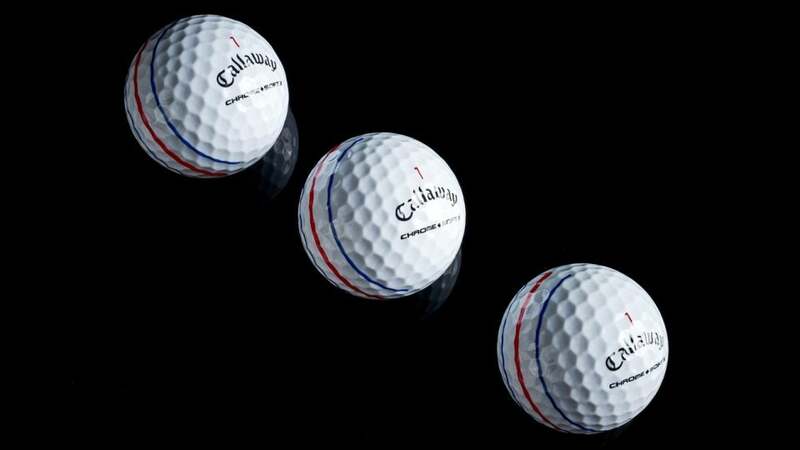 Callaway has officially announced the new Chrome Soft X Triple Track golf balls ($44.99 dozen) will be available at retail on April 19th. The new Chrome Soft X Triple Track balls feature all the same design and performance benefits of the standard model. That includes Callaway’s low compression Graphene-infused Dual SoftFast Core for maximum energy transfer and ball speed, an ultra-soft Tour Urethane cover for improved feel and short game performance, and a HEX aerodynamic pattern for improved in-flight stability and control. The addition of the Triple Track design (previously only found on the ERC Soft model), which utilizes Verner Hyper Acuity to significantly improve alignment over a single sight line, simply makes the Chrome Soft X that much better. A closer view of the Triple Track technology on the Chrome Soft X balls. Finley also says players who struggle with their ballstriking will likely get more forgiveness and better results with the standard Chrome Soft model. However, feel also plays a significant role in choosing the correct golf ball, so for those with higher swing speeds, better ball strikers, or who simply prefer a firmer golf ball, the new Chrome Soft X Triple Track is right up your alley. 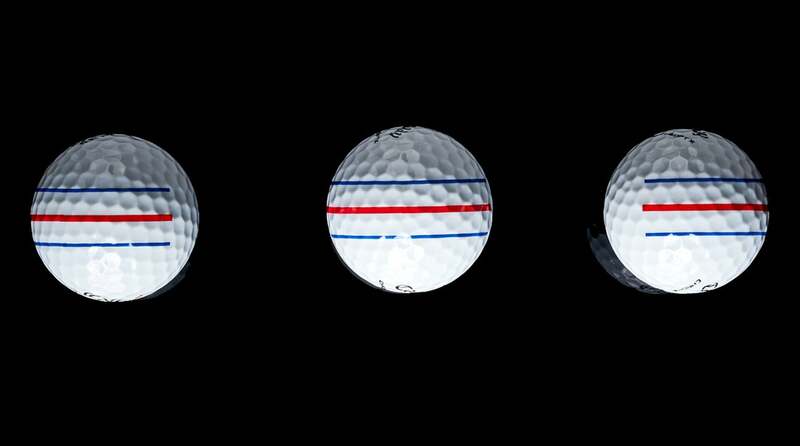 The Chrome Soft X Triple Track golf balls will be available at retail on 4/19/19.